Well, you couldn’t get more simple than this set of plain Jane subtraction flash cards. 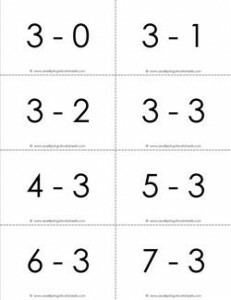 Included are all the subtraction facts for 3’s for numbers 0-20. There are three pages in black and white with eight cards per page.